American Patchwork & Quilting Radio! Let's have some RADIO fun! Guest- I was walking the Houston Quilt Festival and was stopped dead in my track by the Paradise Designs booth.. Lovely interesting and unique bags filled the booth! 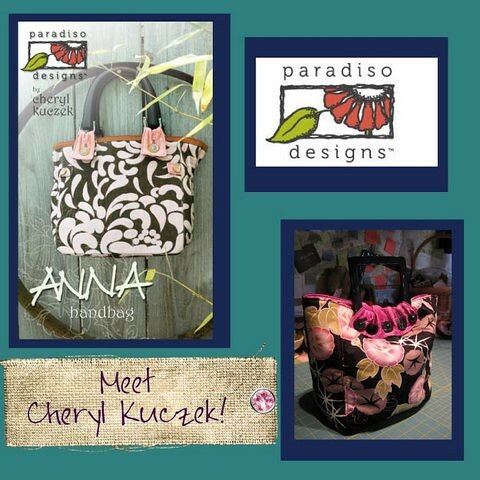 Designer Cheryl Kuczek was in her booth and we had a lovely chat about her designs.. and now you will learn about them too! OR use the same link to Listen/download the podcast after the show! And I have a FACEBOOK page JUST for the show! And CLICK HERE to Join us on Facebook! 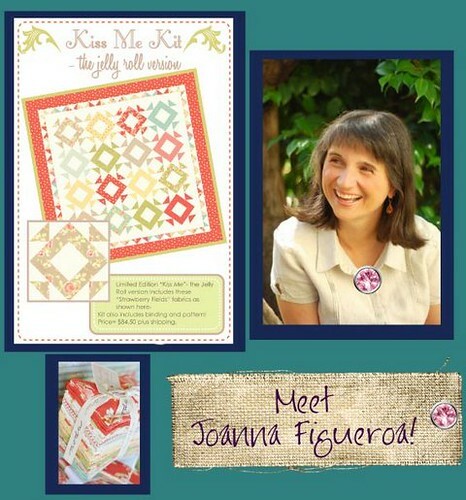 Guest - I've admired the work of designer Joanna Figueroa of "Fig Tree Quilts" for a long time, so it's a real pleasure to have her on the show today. Guest - Many of you learned to quilt with my next guest and lots of you enjoy her awesome books, classes, videos and tv show. 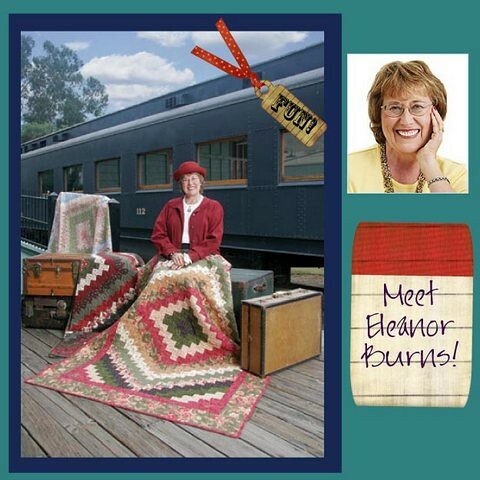 I am happy to have here today the fabulous, the one and only Eleanor Burns. Join me today at 4pm EST for live CHAT! 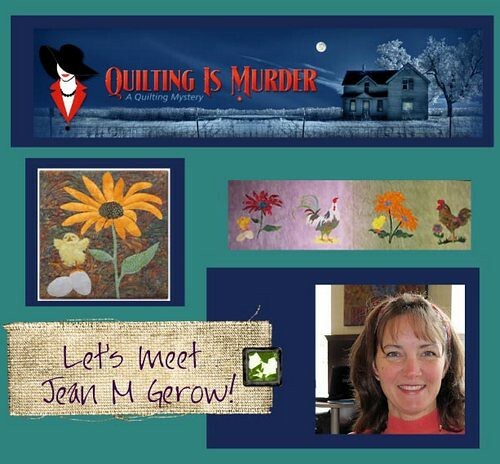 Sisboom Designer Jennifer Paganelli, "Quilting is Murder" event and Cheryl Kuczek on sewing with Vinyl! Crafy sewer Lesley Chaisson of Candy Corner Quilting, Author Christine Barnes and Blogger/Author Alicia Paulson of "Posie Gets Cozy"
SewRetro Author Judi Ketteler, APQ & Moda Bakeshop Designer Vickie Eapen, Roseann Kermes on What's hot, and the Director of "Stitched"
Vanessa Christenson on modern quilt design and Kay Mackenzie on applique!